When Google launches new services, they often gets a lot of hype (see: Wave, Buzz). Unfortunately, they don’t always live up to that hype (see: Wave, Buzz). But one service that Google launched last year definitely has: Google Voice. Sadly, it has only been open to those with invites. But starting today, it is open to all. 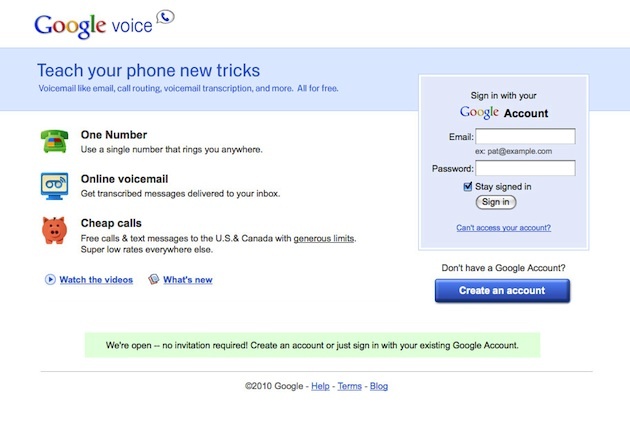 Google Voice started as GrandCentral, a startup launched in 2006 to revolutionize phone management on the web. Google quickly snapped it up in 2007 for over $50 million. For the next two years, it went through a metamorphosis. During that time, some wondered if it was yet another service that Google bought and let die. But in 2009, it emerged as the Google Voice butterfly. The “early preview” of Google Voice that Google unveiled last year has since undergone a number of changes. Notably, SMS now works better, a Chrome extension makes it simple to keep on top of everything, and there’s a great mobile web app. Most importantly though, Google Voice now works seamlessly with all Android-based mobile phones. The solution is brilliant — and was the central figure in Google’s falling out with Apple (after they rejected the native Google Voice app). There are also some features we’re still waiting for — such as full number portability and a desktop app (which may be scrapped now). Google says that there are now over one million people actively using the service. You can expect that number to balloon now that anyone can go to the site and sign up. In fact, why are you still reading this? Go sign up (well, if you’re in the U.S. — yes, it’s still U.S.-only). 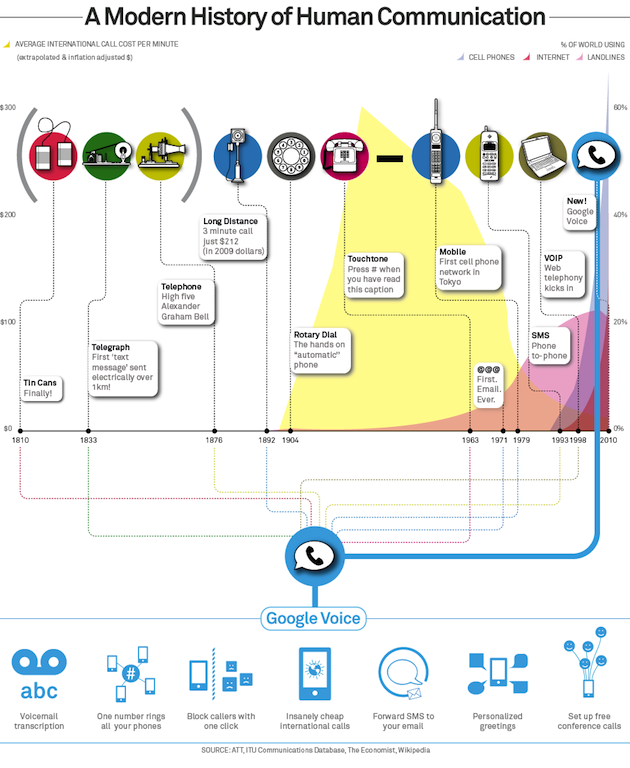 After all, according to the chart below, Google Voice is the pinnacle of human communication.